NASCAR Race Mom: Harvick, Kenseth, Busch, Johnson, Logano, and Truex Jr.
Harvick, Kenseth, Busch, Johnson, Logano, and Truex Jr. 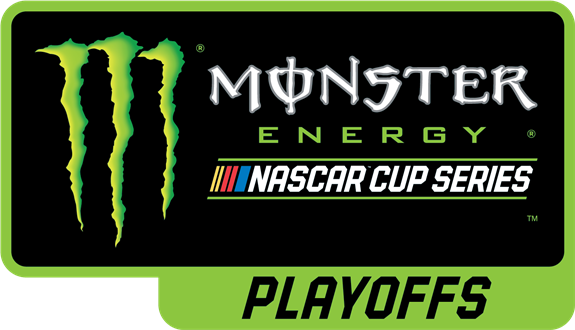 The Monster Energy NASCAR Cup Series rolls into Kansas Speedway for the Round of 12 cutoff race – the Hollywood Casino 400 today at 3 p.m. ET. You can view the race on NBCSN, MRN and SiriusXM NASCAR Radio. On Sunday, defending Hollywood Casino 400 winner Kevin Harvick will attempt to tie Jeff Gordon and Jimmie Johnson for the track wins record by visiting Victory Lane for the third time at the 1.5-mile loop. In 23 Kansas starts, Harvick claims two wins, seven top fives and 12 top 10s. He boasts the series-best average running position (9.7) at Kansas among active drivers and ranks third in average finish (8.6) and driver rating (105.8). The No. 4 Ford driver sits fourth on the Playoff leaderboard, 22 points above Kyle Busch on the cutoff line. He can advance to the Round of 8 with no help by earning 41 points. Matt Kenseth enters Sunday’s Monster Energy NASCAR Cup Series Playoffs cutoff race at Kansas Speedway eight points behind Jimmie Johnson for the final transfer spot to the Round of 8. Kenseth is in a tough spot, but fortunately he’s been strong at Kansas. In 23 starts there, Kenseth owns two wins seven top fives and 13 top 10s. Among active drivers at the 1.5-mile track, he ranks second in driver rating (106.5), third in average running position (9.9) and fourth in average finish (11.0). The only way Kenseth can guarantee himself entrance to the Round of 8 is to win Sunday’s race. If the Monster Energy NASCAR Cup Series Playoffs ended today, Kyle Busch would be out. He’s currently ninth on the Playoff Grid, seven points behind Jimmie Johnson on the cutoff line. 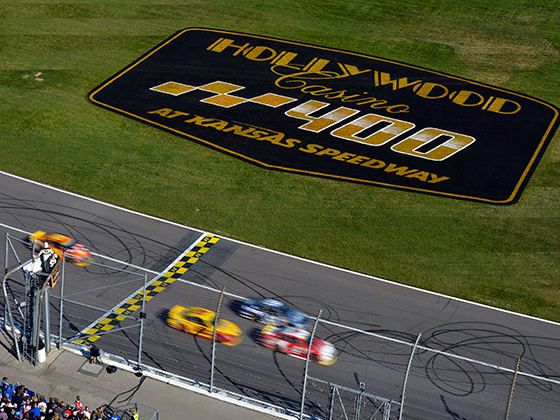 Busch gets the chance to race his way into the Round of 8 on Sunday at Kansas Speedway. In 19 starts at Kansas, Busch has one win, five top fives, seven top 10s and a 17.7 average finish. Those numbers might seem pedestrian for a driver of Busch’s status, but he has figured the track out recently. In his last five races in the Jayhawk State, Busch has finished no worse than fifth and posted his lone win there during that stretch. It’s make or break time for Jimmie Johnson in his quest for a record eighth Monster Energy NASCAR Cup Series championship. He currently holds the last transfer spot to the Round of 8, sitting seven points above Kyle Busch on the cutoff line. Johnson can advance without help if there is no new winner by finishing the race with 49 points. The No. 48 Chevrolet driver is tied with Jeff Gordon for the Kansas wins record with three checkered flags there. He also claims nine top fives and 17 top 10s. Among active drivers at Kansas, Johnson leads the Monster Energy NASCAR Cup Series in driver rating (108.7) and has the second-best average running position (9.8) and average finish (8.5). As we saw last week when Ryan Newman almost took the checkered flag at Talladega, a driver doesn’t need to be playoff-eligible to win a race. A spoiler in the Playoffs can take away an automatic qualifying bid to the next round. Based on recent history, Joey Logano is a strong candidate to play spoiler at Kansas this weekend. In 16 starts at the 1.5-mile track, he claims two wins, six top fives and an 18.9 average finish. All six of his Kansas top fives came in his last eight races there. In the two races he didn’t finish in the top five, he wrecked out of the race. Logano enters the race off a fourth-place showing at Talladega where he led 59 laps. Martin Truex Jr. will attempt to become the second driver to sweep a track this year in Sunday’s Hollywood Casino 400 at Kansas Speedway. The No. 78 Toyota driver led 104 laps on his way to victory there in May. Kyle Larson swept Michigan with wins there in June and August. Truex has been the dominant driver in the Monster Energy NASCAR Cup Series this season. He leads the series in wins (six), top fives (14, tied with Larson), top 10s (21), stage wins (19), playoff points (64), average finish (10.7), average running position (7.5), fastest laps (1,146, 16.1%), laps led (1,977, 22.2%) and driver rating (115.0).